Does your food container fit? Designed to keep food warm until lunchtime. Prepare meals at home and it's ready to eat at the perfect temperature when you arrive at work, school, daycare or any sport activity or event. Husky is big enough to fit 8" x 6" food storage containers or even a standard six-pack of drinks with ice. It will stay at safe temperatures for a full 2 hours hot or cold. Here's our Best Bag Ever! Built to withstand rough and rugged handling. 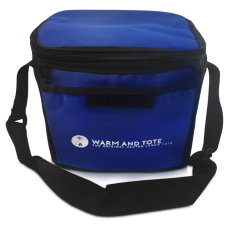 Designed with the super functional job of keeping hot food hot and cold food cold...All in the same bag. You want to eat well...and stay in style! 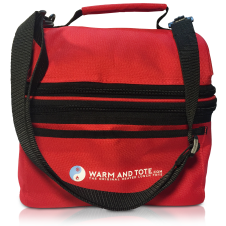 Bring this heated lunch tote to the office or school or sporting events in style. These activities go hand in hand in this fun functional tote that shows off your your love for style! 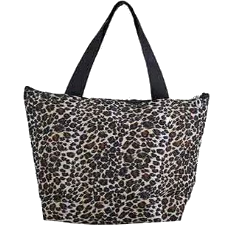 Safari Prints will stay at safe temperatures for a full 5 hours hot or cold. 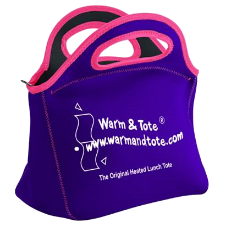 We have upgraded our now famous Lunch & Go™ heated lunch tote to accommodate mom's busy lifestyle and your desire to eat healthy and stay fit. We started with our legendary Warm & Tote patented technology and adapted it to include the most thermal material available- Neoprene! 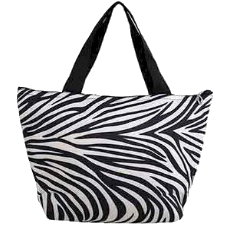 Others have imitated this design but they'll never work like a legendary Warm & Tote. Drag & Drop one of the items from this side to the white board on the left side. Check if the container will fit the Tote !